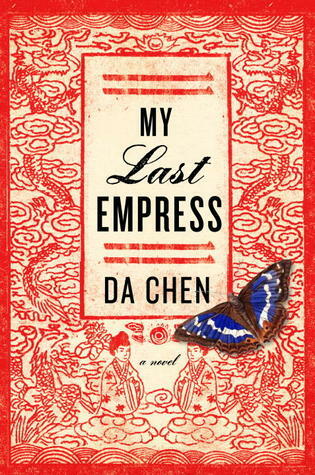 A sweeping story of passion and obsession, set against the upheavals of 19th-century imperial China Samuel Pickens, a blue blood from Connecticut's Gold Coast, narrates this tale of obsession, lust, and lost love from his home within the walls of the Forbidden City. In his youth, Pickens had fallen passionately in love with his headmaster's daughter, Annabelle. She had been raised in China and was worldly beyond her years. Though they were just teenagers, their romance quickly blossomed until tragically, only one month after meeting, Annabelle was dead. Initially, Pickens is devastated by the loss, but within days, he believes that Annabelle's ghost is visiting him, and she will not rest until she is returned to China. This is a book that has a rather unlikeable 'hero' and yet it is still entrancing and captivating. Pickens is a character that I guess you can love to hate. Some of his choices and his views make me shudder, but his story is an interesting one that kept me turning the pages despite my dislike of him. What really made this book for me, though, is the prose. It is utterly beautiful and poetic: a joy to read. I loved Chen's descriptions; the way he set the scene and painted a portrait of the characters in this wonderful language that was familiar and yet also hinted at the mysteries Pickens faces as he travels to the East. If you like literary fiction in Oriental settings, I can definitely recommend this book. It was a very good read.